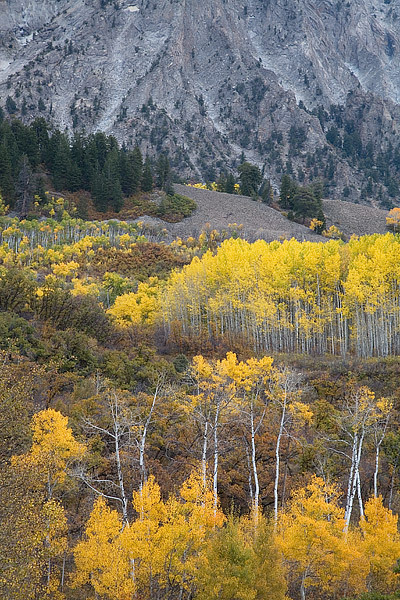 Red Scrub Oak and Yellow Aspens at there Autumn peak are photographed along the flanks of Marcellina Mountain outside of Crested Butte, Colorado. Marcellina Mountain is located about 16 miles outside of Crested Butte along Kebler Pass Road. Kebler Pass Road in the West Elk Mountains is one of Colorado's best areas to view fall color. Photo © copyright by Thomas Mangan.